Backed by a powerful integration with Azure Active Directory for Office 365, Sigstr’s user import process is simple and efficient. 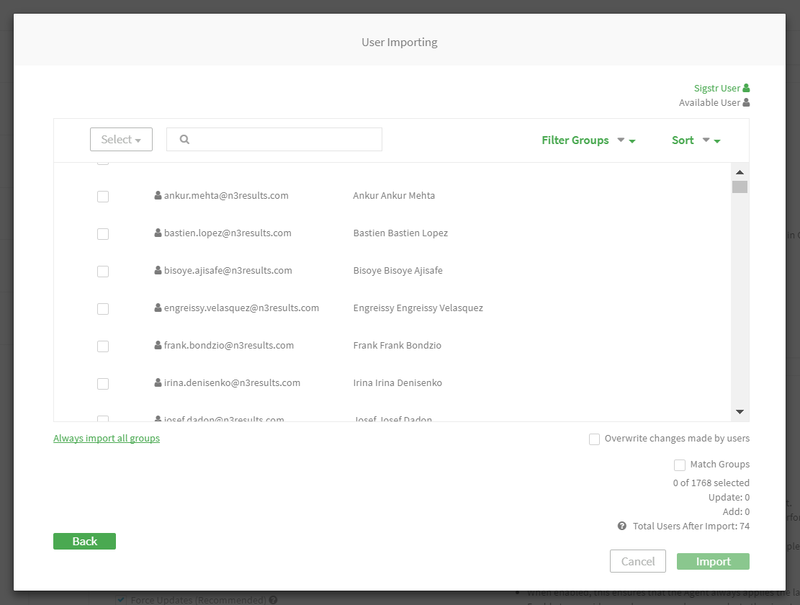 The integration allows customers to import user information to Sigstr straight from Office 365, removing the need to manually import a CSV file. The act of enabling the Office 365 User Import can be completed in 8 easy steps. From the Integrations page, navigate to the Office 365 section and click Connect with Office 365. You will be taken to a new window where you will have the opportunity to sign into your Microsoft account. On the permissions page, grant Sigstr access to your Microsoft account by clicking Accept. After enabling the integration, you will be taken back to the Sigstr Integrations page where you will have the option to Import Users. 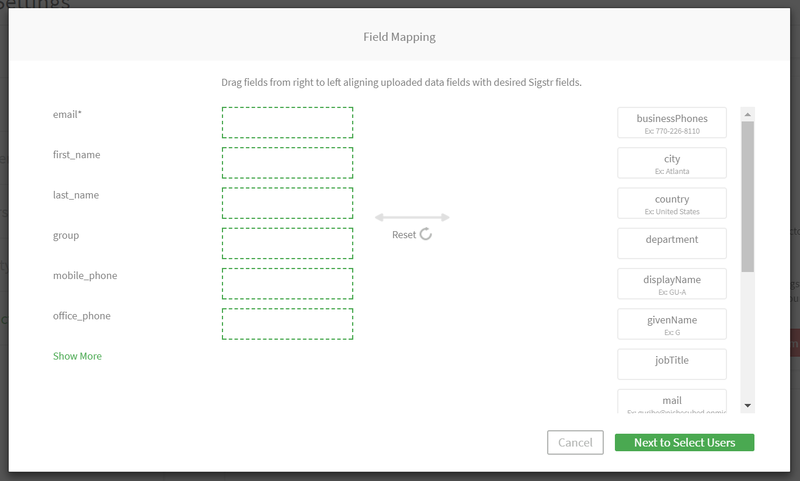 Once you click the Import Users button, the next screen will give you the opportunity to map Office 365 information to Sigstr fields. After the fields have been placed, click Next to Select Users. The next screen will allow you to dictate which users listed in your Office 365 account will be imported. 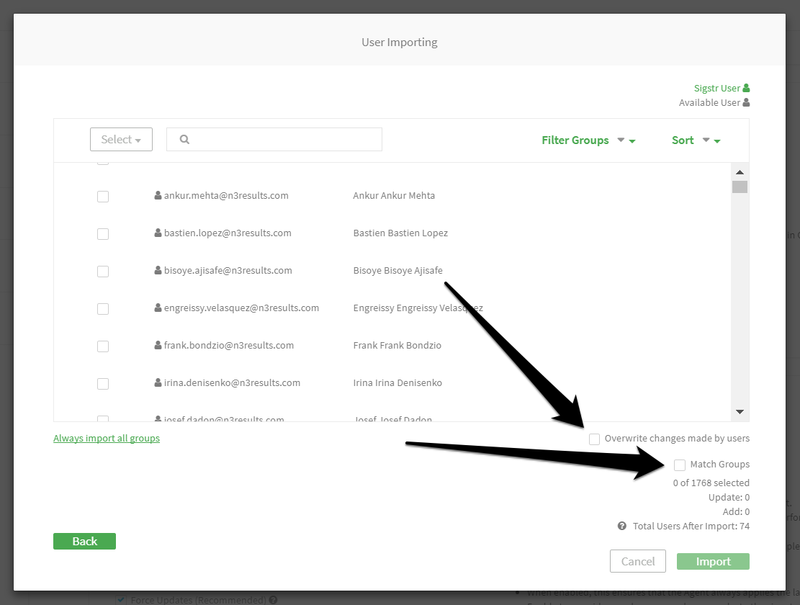 If a user is highlighted in green, that user profile already exists in Sigstr. You can choose to import all users, all existing users, all available users (meaning they do not exist in Sigstr), or individual users. If you check the option to Overwrite Changes Made By Users, the import will override any data changes previously made by end users. If you have groups stored in Office 365, you will also have the option to Import Groups.